Tourists searching for peace and simplicity can for the first time check in to Mahatma Gandhi's most famous ashram in India. But don't expect modern comforts. And chastity is required. For 1,000 rupees ($16) a night, tourists can sample the lifestyle of India's famously ascetic independence leader by staying at the first ashram he established in 1915 in Gujarat. Guests at the ashram, which opened to holidaymakers earlier this month, can try their hand at spinning, visit local communities, pray and meditate, all while wearing khadi -- hand-woven cloth -- during their stay. But they must adhere to Gandhi's 11 vows that he promoted including non-violence, no possessions, use of local goods, working for daily food, self restraint, including chastity, and control of diet. And they are also encouraged to follow Gandhi's austere daily routine, such as waking at 5am and undertaking domestic chores. "The objective of this programme is to allow people to experience a sustainable lifestyle, to enjoy the simplicity of Gandhi, experience the virtue of Mahatma," said Nischalavalamb Barot, a travel agent who helped develop the programme called "Live Gandhi for a While". "This might change perceptions of tourists towards life, society and our natural resources. This might also help tourists find peace and satisfaction within," Barot told AFP. Gandhi went to stay at the bungalow, now called Kochrab Ashram and then owned by a lawyer friend, after he returned to India from South Africa in 1915. From this base, in a village on the outskirts of the city of Ahmedabad, he rejected material wealth and developed some of the ideas for which he became famous. In one incident, he upset neighbours by inviting a low-caste man, a so-called "untouchable", to come and live at the ashram as part of his campaign against India's rigid and deeply ingrained caste system. The ashram is managed by a nearby university called Gujarat Vidyapith, which Gandhi himself founded in 1920 to "liberate the Indian youths from the shackles of British colonial rule". 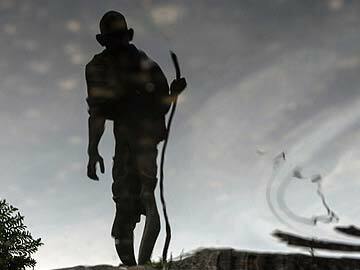 The "Live with Gandhi" programme was launched on October 2 to coincide with the 144th anniversary of the birth of Gandhi. Tourists have not yet made bookings, but Barot stressed there were lots of inquiries.